What many people don’t realise is that digital landscapes differ. We often look at things from a global perspective, which isn’t ideal as this more often than not considers one landscape over others. 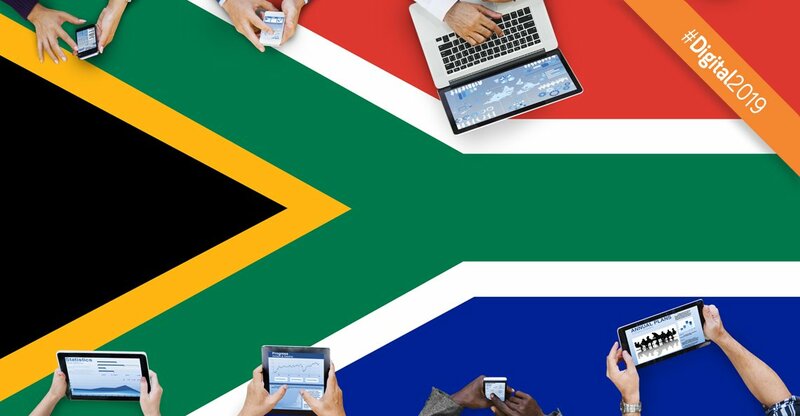 So where is South Africa digitally in 2019? The South African landscape is indeed very different from the rest of the world, so it’s important to consider this important question when making business decisions. Let’s take a look at some of the stats that help us gain a clearer picture of the South African digital landscape. We hope that by the end of the article we have a clear idea of South Africa digitally in 2019. 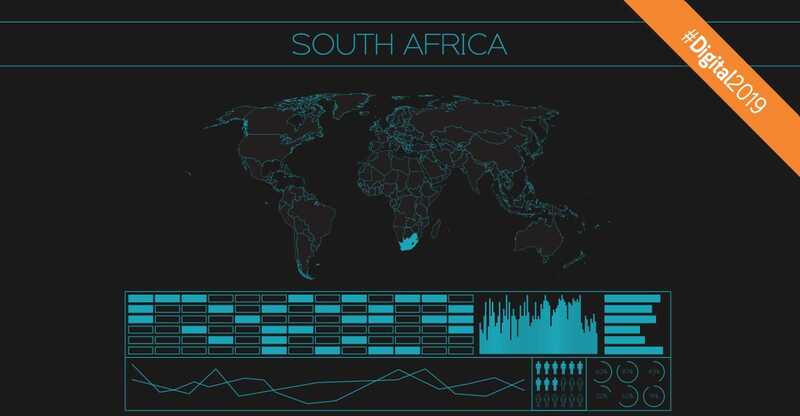 Statistics answering the question: where is South Africa digitally in 2019? Here are a few groups of statistics that will help us clarify and define South Africa digitally in 2019. 31.18 million active internet users (Statista, 2019). 28.99 million active mobile internet users (Statista, 2019). South Africa has 54 percent internet penetration (7 percent growth from 2017) (We Are Social, 2018). South Africans spend an average of 8 hours and 32 minutes on the internet per day via any device (We Are Social, 2018). South Africans access the internet for personal reasons on any device: every day (65%), at least once per week (22%), at least once per month (8%) and less than once per month (4%) (We Are Social, 2018). The top 10 websites in South Africa based on average monthly traffic in Q4 of 2017: google.co.za, google.com, youtube.com, facebook.com, wikipedia.org, news24.com, fnb.co.za, twitter.com, yahoo.com and takealot.com (We Are Social, 2018). 66 percent of South African internet users believe new technologies offer more opportunities than risks (We Are Social, 2018). Percentage of South African population that uses: any type of mobile phone (85%), smartphone (60%), laptop or desktop computer (24%), tablet computer (12%), TV of any kind (82%), device for streaming internet content to TV (3%), e-reader device (1%) and wearable tech device (2%) (We Are Social, 2018). 61% of South African internet users prefer to complete tasks digitally whenever possible (We Are Social, 2018). Preferred payment methods of online shoppers in South Africa as of August 2017: credit card (45%), debit card (21%), bank transfer (20%), PayPal (7%) and other (8%) (Statista, 2019). 29% of South African internet users bought something online via any device in the past month (We Are Social, 2018). 18% of South African internet users bought something online via mobile phone in the past month (We Are Social, 2018). $146 was the average amount of money South Africans spent on ecommerce purchases in 2017 (We Are Social, 2018). 47% of South African internet users searched online for a product or service to buy in the past 30 days (We Are Social, 2018). 49% of South African internet users visited an online retail store in the past 30 days (We Are Social, 2018). 13% of South African adults aged 15 years plus possess a credit card (We Are Social, 2018). Ecommerce in RSA is estimated to have amounted to about R10bn during 2017 and there is a massive growth opportunity in the digital commerce sector. – Geraldine Mitchley, Visa senior director for digital solutions in sub-Sahara Africa (Fin24, 2017). South Africans spend mostly in the fast food category of online shopping, while groceries are still purchased with greater frequency in-store than online. Research also shows that cross border online spending is increasingly common in SA (Fin24, 2017). There are currently 18.43 million ecommerce users in South Africa, with an additional 6.36 million users expected to be shopping online by 2021. Four years from now, these 24.79 million ecommerce users will spend an average of 189.47 USD online (Eshopworld, 2017). Electronics & Media is currently the leading product category in South Africa, accounting for 964.2 million USD market share, followed by Furniture & Appliances, which generates 553.7 million USD in sales (Eshopworld, 2017). The three most popular online shopping categories for South African consumers who shop online were clothing/apparel (53%), entertainment/education (digital/downloadable) (51%) and event tickets (51%) (Bizcommunity, 2019). 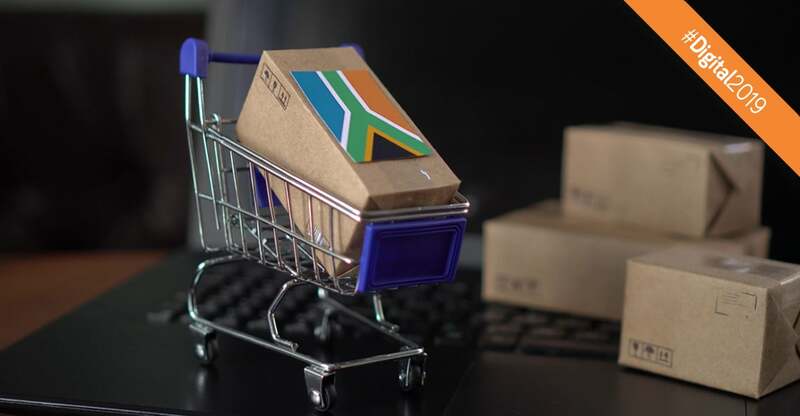 South African online shoppers purchasing from overseas chose the U.S. as their online shopping destination of choice (34%) due to better prices, availability and variety of styles, followed by China (28%) and the UK (16%). The research also indicated that Christmas, Black Friday and seasonal sales are the three top occasions for shopping cross-border more frequently than usual (Bizcommunity, 2019). 78% of South Africans internet users believe data privacy and protection are very important (We Are Social, 2018). 45% of South African internet users delete cookies from internet browsers (We Are Social, 2018). 94% of negative website feedback was design related (Sweor, 2018). 85% of adults think that a company’s website when viewed on a mobile device should be as good or better than its desktop website (Sweor, 2018). 57% of users say they won’t recommend a business with a poorly designed mobile site. (Impact, 2019). 94% of visitors stopped trusting websites with degraded web design (Mytechlogy, 2017). 42% of customers will stop engaging with a website if the images are taking too much time to load. (Mytechlogy, 2017). In 2018, 35 percent of the population in South Africa used a smartphone (Statista, 2019). South Africans spend an average of 3 hours and 17 minutes on the internet per day via a mobile device (We Are Social, 2018). Mobile’s share of web traffic in South Africa: 71 percent of total web pages served to mobile phones (We Are Social, 2018). There are 67 percent unique individuals using mobile phones in South Africa compared to the national population (We Are Social, 2018). 88% of South Africans have an active mobile broadband connection (We Are Social, 2018). 35% of South African internet users access banking services via a mobile device (We Are Social, 2018). 42% of South African internet users watch videos on mobile (We Are Social, 2018). 34% of South African internet users are playing games on mobile (We Are Social, 2018). 42% of South African internet users use mobile map services (We Are Social, 2018). Stranger Things was the most popular digital original television show on Netflix based on audience demand in South Africa in February 2018 with 2.14 million average demand expressions (Statista, 2019). In a Statista Global Consumer Survey conducted in South Africa in 2017, some 41 percent of respondents stated that they had spent money on digital video downloads in the past 12 months (Statista, 2019). According to the calculations, Netflix will have more than 337 thousand subscribers in South Africa in 2020 (Statista, 2019). Netflix is expected to generate approximately 31.5 million U.S. dollars with its South African streaming segment in 2020 (Statista, 2019). Whatsapp is the top messenger app in South Africa (based on the Google Play store rank for each country in December 2017) (We Are Social, 2018). South Africans spend an average of 3 hours watching TV per day (broadcast, streaming and video on demand) (We Are Social, 2018). South Africans spend an average of 1 hour and 7 minutes per day listening to streaming music (We Are Social, 2018). South African internet users watch TV via: a regular TV on a TV set (91%), recorded content on a TV set (18%), catch-up/on-demand service on TV set (14%), online content streamed on a TV set (6%) and online content streamed on another device (8%) (We Are Social, 2018). Internet advertising spending in South Africa is expected to grow from 5.1 billion South African rand in 2017 to 9.4 billion South African rand in 2022 (Statista, 2019). In a Statista Global Consumer Survey conducted in South Africa in 2017, some 55 percent of respondents agreed with the statement “It annoys me when media and internet content is too advertising driven” (Statista, 2019). 43 percent of South African internet users use an ad blocker tool to prevent the display of advertising content (We Are Social, 2018). 23 million active social media users (Statista, 2019). 22 million active mobile social media users (Statista, 2019). In 2023, it is expected that almost 33 percent of the population in South Africa will be accessing Facebook (Statista, 2019). In 2018, 34.6 percent of the population in the country accessed social media. In 2023, this share is projected to reach 40.1 percent (Statista, 2019). South Africa saw a 20% year-on-year increase in the number of people using social media from 2017 to 2018 (We Are Social, 2018). South African social media users spend an average of 2 hours 48 minutes using social media each day via any device (We Are Social, 2018). There is an average organic reach of Facebook page posts compared to total page likes of 12 percent in South Africa (We Are Social, 2018). The number of active monthly Instagram users compared to the total population of South Africa is 7% (We Are Social, 2018). 18 million South Africans are monthly active Facebook users (We Are Social, 2018). 89% of active South African Facebook users access Facebook via their mobile (We Are Social, 2018). The South African Government and the Financial sector continue to be the largest player when it comes to IT spending (Export.gov, 2018). “One can see massive appetite for faster internet access at the top of the market and cheap internet access at the bottom of the market. We see that in the fact that the rollout of fibre-to-the-home was followed very shortly by the decline of ADSL connections in South Africa” (Arthur Goldstuck, Forbes, 2017). “Mobile technology is responsible for over ¾ of all web traffic in South Africa” (Qwerty, 2017). “The strong entrepreneurial drive within the local South African IT sector is creating larger demand for cloud-based services. Cloud-based services and solutions are seen to offer cheaper, safer alternatives and efficiency gains in operations (Export.gov, 2018). We hope these stats provide you with a better idea of South Africa digitally speaking. If looking at South Africa digitally is an interest of yours, please let us know if you have any other predictions for the future or if you have something further to contribute to the question at hand: where is South Africa digitally in 2019? As the MD, Bradley is Flicker Leap's Head Problem Solver. 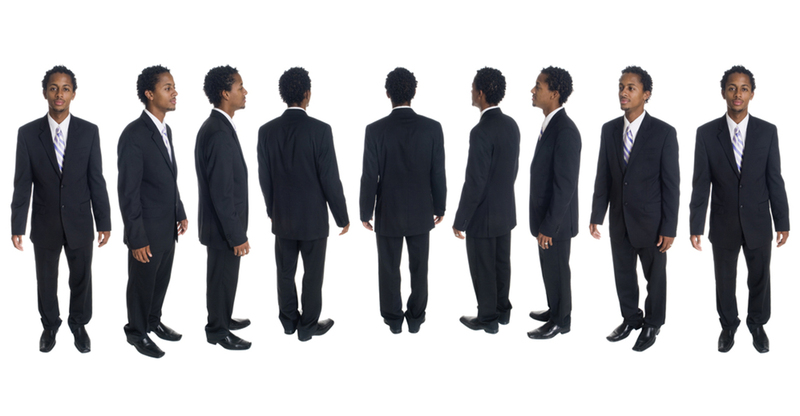 next post: What does the current South African ecommerce landscape look like?